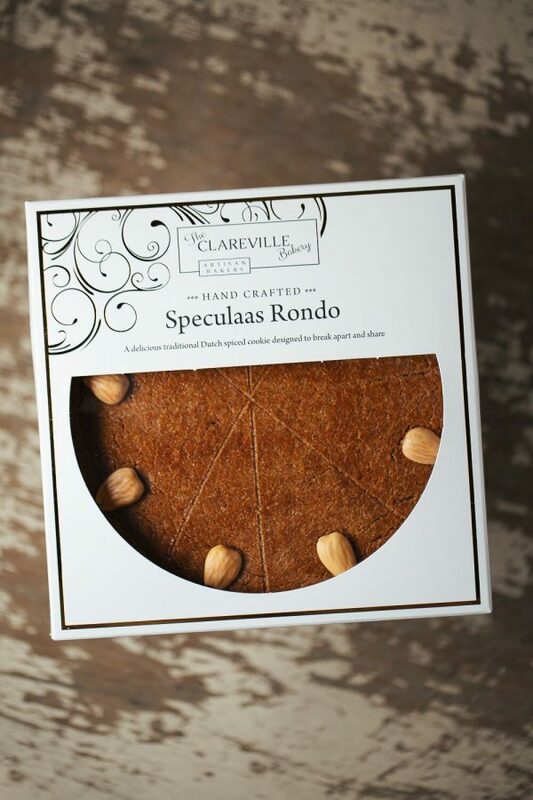 A delicious traditional Dutch spiced cookie studded with roasted almonds designed to break apart and share. 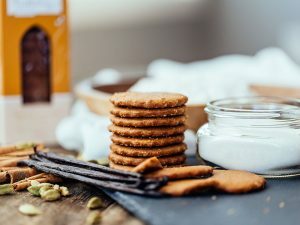 Produced on a premises where nuts, wheat, dairy and eggs are common place. Sultanas, currents, rum, orange, flour, milk, yeast, butter, sugar, salt, spices, vanilla extract, walnuts, almonds, egg white.